Here is my main coop where all my older girls stay and all my chickens spend the winter. 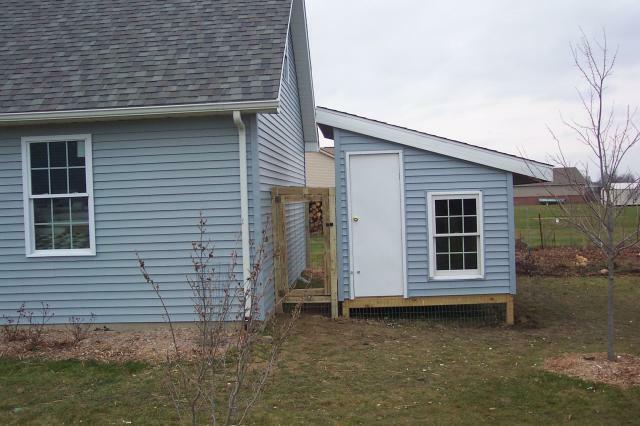 8X8 coop with a 200 sq ft run. 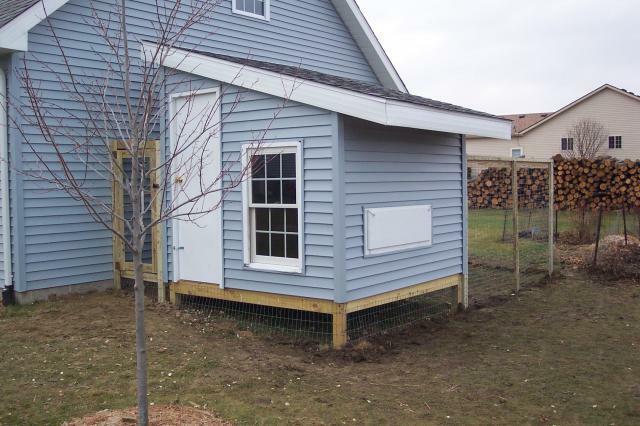 Here is my latest coop upgrades. 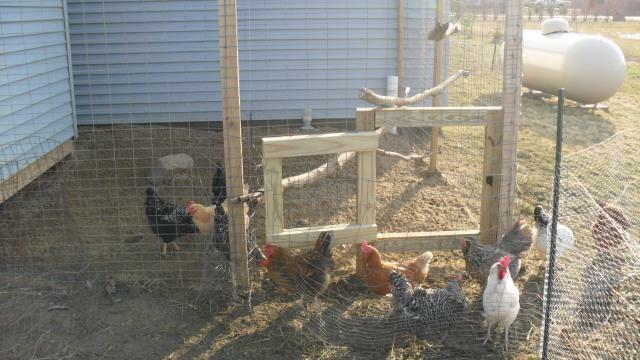 New run door that I can have my chickens use #1 or #2 chicken pasture. Each pasture is 1300-1500 sq ft. Plus 2 yards of sand for the run. 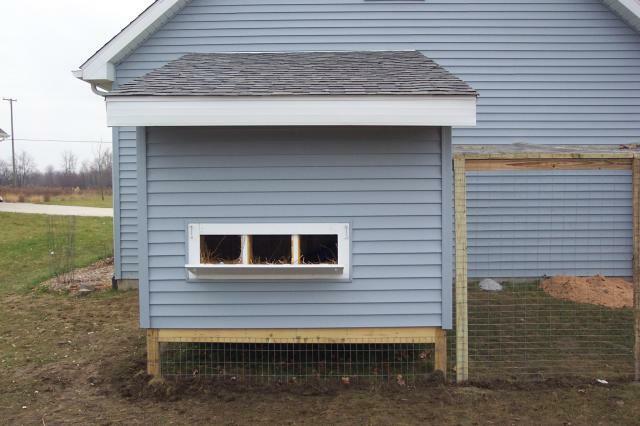 The new chicken run door also allow us to get to the nest boxes with out walking through the chicken pasture. 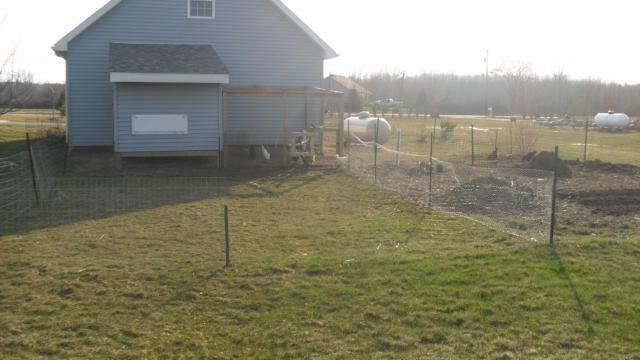 Chicken pasture #1 on left, garden on right, pasture #2 behind garden along side the garage. 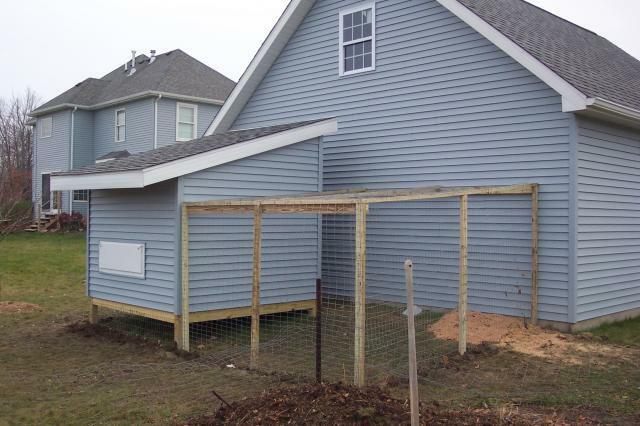 No more worring about chicken wandering into the neighbors yard to become a chew toy and no more destroyed flower beds. Here is my tractor which now houses my new chicks once they leave the brooder and before they get intergrated in with the rest of the flock in the fall. 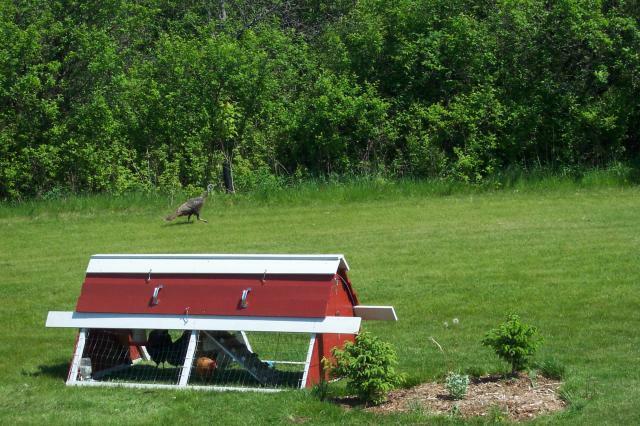 The chickens were visited by a wild turkey and got them all worked up.